This is the tenth excerpt form Meadow Bank W.I. Tweedsmuir History published in 1951. Industries in a province such as ours must, of course, be connected either directly or indirectly with the land or the sea. Manufacturing must be limited and closely linked with the products of land and sea. Since pioneer days then, agriculture in its various forms has been the basic industry of the district and like most other parts of the province mixed farming has engaged the attention of the great majority. Fortunately, wood lots were cared for reasonably well so that logging and sawing chiefly for local needs have been interesting and profitable occupations. The incident has been recalled of many years ago when Mr. Spurgeon Hickox set up a rotary saw at Mr. Fred Hydes and sawed lumber for those of the district. Since that time, however, firewood has been the chief asset of the woods. Today, on the Island, pulpwood is an important industry to which one member of our district, Mr. Hyde, has contributed. Meadow Bank farm being all shore farms offered an excellent opportunity for the fishing of clams, quahaugs and oysters, the last being fished extensively in recent years. These find a ready market in Canada and United States. Before the days of commercial fertilizers, wood ashes, as the land was cleared of the virginal forests, provided potash, and mussel mud from the river bed was loaded into flat-bottomed boats and spread on land providing the necessary lime. Later mud diggers were placed on the ice over the mussel beds and with a horse in the capstan, huge forkfuls were loaded into waiting sleighs. Seaweed, too, was a valuable fertilizer but due to some disease, it is almost killed out. Up to that time it was a happy feeding ground for nervous flocks of wild geese which were much sought after by sportsmen. Fox farming is one of the later industries. It had its beginning years ago when two men bought a pair of foxes from the Natives. In this community, almost every farmer had his own individual fox ranch. Although the Island still can boast a lead in quality and production, there are very few foxes ranged here since the general slump in prices during World War II. Our certified seed potatoes have reached a high state of perfection and command a ready market in many parts of the world. Turnips are grown for feed and export. Dairying and the raising of beef cattle engage the time and attention of our farmers. Surplus hay is pressed and sold. At first milk was processed at home into cheese and cream into butter. Then a cheese factory was operated for a number of years at Cornwall. This was in 1925 bought by Cornwall Community Club, torn down and rebuilt as a skating rink. Now, cream is shipped to creameries in Charlottetown. Many changes have taken place in the method of farming from the time of the reaping hook, sickle and buck rake. The first binders, a Maxwell, was owned by Henry Hyde and used by his sons until a few years ago. Threshing was first done with a flail then the horsepower mill, later the cleaner was added, then engines and tractors. Now, we can boast of the first combine being used on the same farm by R.D. MacKinnon (1950) who has also introduced a clipper for the harvesting of grass silage. 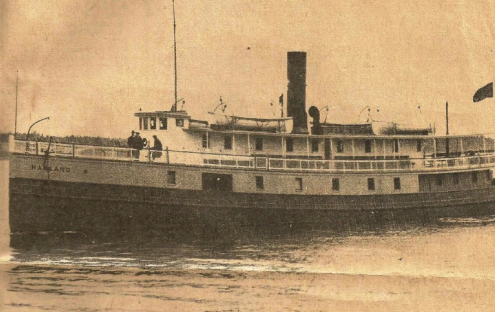 For the convenience of travelers, the S.S. Harland made two round trips every Saturday from Charlottetown to the West River Bridge calling en route at MacEachern’s Wharf. The Strathgartney, Hazel R and other motor launches privately-owned and subsidized by the government made similar trips from Bonshaw to the capital city on market days. Their time tables varied as the tide changed. Now since hard surfacing of main highways and the advent of trucks and cars, this mode of travel has become outdated. In the early days mail was received semi-weekly at the Cornwall Post Office. About the year 1910 mail began to come daily and boxes were placed at each gateway. Donald MacPhail (4 years), Dave Lowry and Seymour Scott and sons have been our mail couriers ever since. A privately-owned telephone company serving the communications of Cornwall, York Point, North River, East Wiltshire and Meadow Bank was in operation as early as 1912 with a switch board at Cornwall. In 1947 we sold to the Island Telephone Company and now are on the Charlottetown Exchange. More information on Cornwall Post Office here. Story on the S.S. Harland published on this site, click here. List of private telephone companies that there were in PEI, click here. This is the ninth excerpt from the Meadow Bank W.I. Tweedmuir History that was published in 1951. Charles MacLean came here from Aberdeen, Scotland, where he was a shepherd. The exact date of his arrival on Prince Edward Island is not known. We are told that as a young man he cut cord wood where the city scales now stand in Charlottetown and also wooed Catherine MacKinnon of Highfield to be his bride. To this union was born four daughters: Catherine, Sallie, Mary and Ann and two sons: Duncan and Allan. The MacLeans property of 60 acres was purchased from the executors of the estate of late Lord Selkirk of London, England, by the Douses who sold to Mr. MacLean in 1850. £40 of the £300 purchase price being required as a down payment. 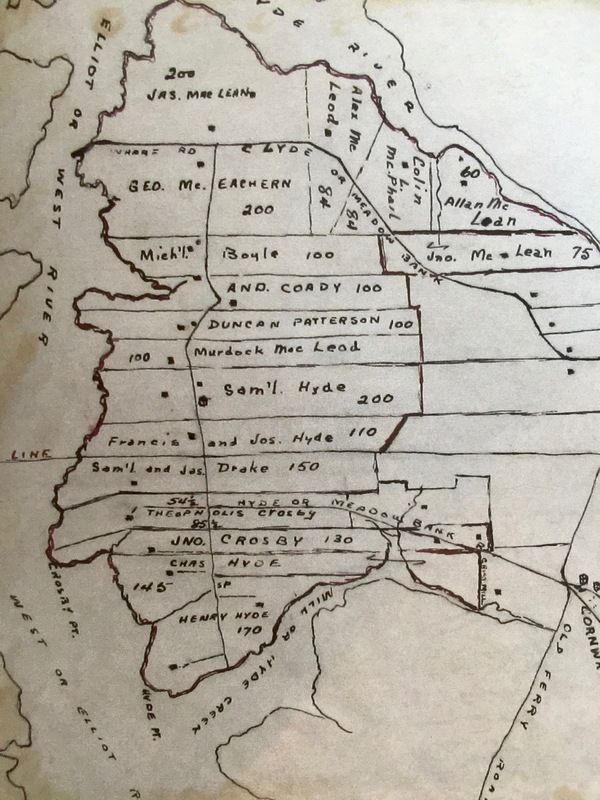 Deeds show that the Clyde River which formed the western boundary of the MacLean farm was called Dog River and the cove, Potter’s Cove, because of a brick kiln which was there at one time. Here I wish to record one instance of the endurance and fortitude of the women of pioneer days. Being in need of grain for seed and not able to go himself because of a recent illness, Mr. MacLean’s wife, Catherine, leaving a three-month baby at home, went along in a rowboat to Belfast, making the return trip in three days and bring with her a bag of wheat. Charles, son of Allan, who inherited the property in 1862 had two wives, his first Catherine Duff, who children were Sara and John Duff; his second, Eliza Brown, to whom was born Charles, Ophelia, Emmerson, and Fred. 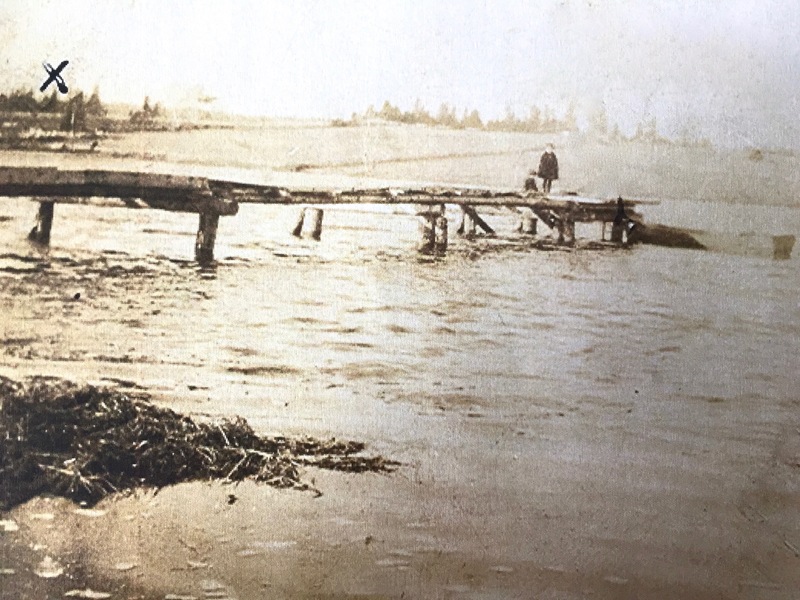 It is said that Allan had the first cart in that part of Meadow Bank as there was no road other than a foot path he had to bring it around the shore from Clyde River Bridge. In 1901, Allan’s son Charles acquired the property. He married Edith Fraser and to them were born Elmer, Gordon, Allan, Hazel, Winnie, Jean, Donald (Dan), Kathleen and Ida. 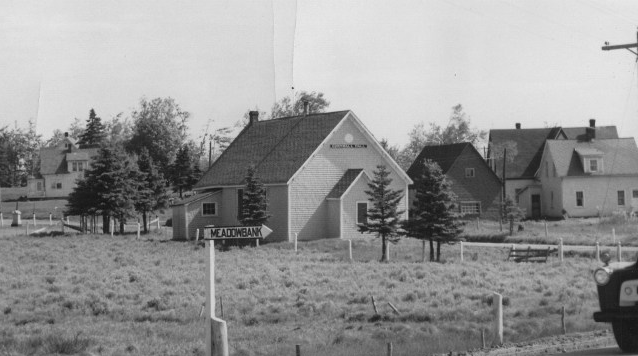 Since 1919, the original MacLean farm has been in possession of Gordon (the second son). We are told by Mrs. Gordon MacLean (nee Grace MacKinnon) that her grand-uncle John L. MacKinnon, founder and editor of the Summerside Pioneer, at one time boarded at Joe Hyde’s and attended school at Meadow Bank. Wharf at Gordon MacLean’s shore once used by him to ship potatoes. Marked with an “x” is the Clyde River Pioneer Cemetery where Mr. MacLean, the immigrant, is buried. This is the seventh excerpt form Meadow Bank W.I. Tweedsmuir History published in 1951. Thomas Hyde, head of the Hyde Family, came from County Clare, Ireland in 1770 where he followed the trade of spinning and weaving, having emigrated with his parents from England some years previous. He purchased his land for the sum of £109 11s 9d. The first deed from Gov. Patterson is dated April 4th, 1786. Until this time, quit-rents were supposed to have been paid. Thomas Hyde brought with him a family of two sons and five daughters and left one daughter married in Ireland. The sons’ names were William and Thomas. William was a captain in the militia and on two occasions served as an M.P.P. He was married to a Miss Simpson of Cavendish. To there were born a family of four sons and six daughters. The sons were William, James, Thomas and John. The daughters were Mrs. Cameron of Covehead; Mrs. Stewart of DeSable; Mrs. Todd of Arcola, Illinois; and Elinar, Jannet and Sara who were unmarried. We know that William Junior first lived on the farm now owned by Russell Hyde Senior and that during the time of his father William Hyde Senior a two-storied eight-sided house was built which contained a ballroom on the second floor. This house was the social centre at which members of parliament were often entertained. 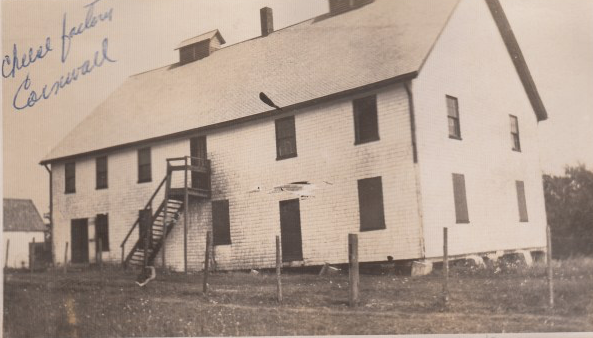 When still young, William Junior moved to the eastern half of the Hyde property later know as the “Point Farm” owned by his son Henry and grandson Harry M. until the last mentioned sold to the Alex H. MacKinnons in 1945. William Junior married Mary Braddock and to this union were born six sons: Samuel, Lemuel, William, Henry, Charles and Albert and two daughters who afterwards became Mrs. James Farquharson and Mrs. David MacEwen. Thomas Hyde moved to US, James married Bell Nelson and moved to Pictou County, N.S., John owned the mill where Harry Crosby now lives. He married a Miss MacEwen and their family consisted of seven daughters and four sons. The sons were Artemus Hyde of Clyde River, William of Halifax, Duncan who lived on the home place and John killed by accident. 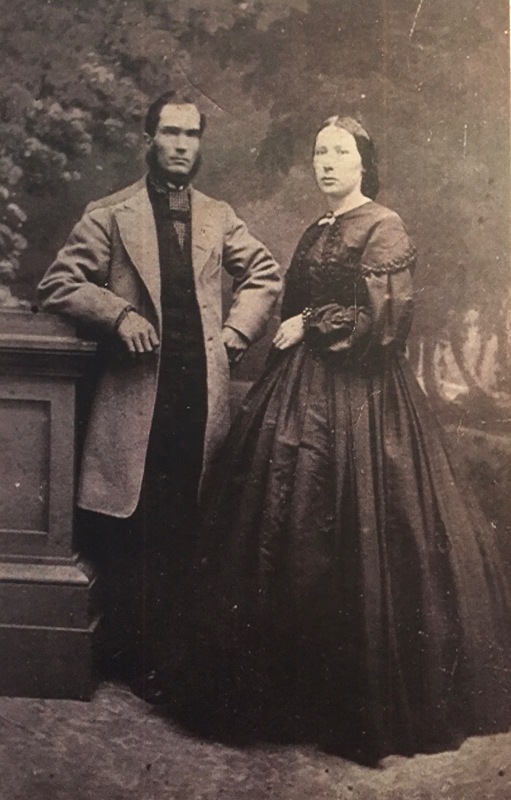 Mrs. Duncan Patterson of Charlottetown and her son Wallace, the jeweller, are direct descendants of Thomas Hyde, son of the immigrant. Here I wish again to refer to the eight-sided house which was burned, supposedly about the year 1857 at a time when two Hyde women, spinsters, were the only persons living in it. Two valuable articles of furniture saved from the flames were a sixteen-legged table made of black birch and a grandfather clock both considerable over one hundred years old. Included in the loss were several valuable papers the destruction of which severed a connecting link with relatives in the Old Land. Sometime before 1786, one John Wilson lived on the land west of the Crosbys for we find that he bought out his land from Gov. Patterson in that year. He later sold to Williams and Webster who in the year 1852 sold to John Drake who came here from Pownal with his wife Susan Burhow of that place. They had a family of eight sons and one daughter most of whom settled here, Samuel and James H. occupying the home place which had undergone border changes, 50 acres having been sold to the Crosbys on the East and an additional 50 acres having been obtained to the West. Both brothers now owned 100 acres. These farms are now owned by Richard, son of Samuel and Lemuel H., son of James. James Yeo lives on the farm formerly owned by Thomas Hyde (son of immigrant) and his descendants William and Joseph who in turn occupied it until 1901 when it was bought by Herbert Howard. The present owner is a veteran of World War II whose wife Dorothy Agnew came from County Monaghan, Ireland. 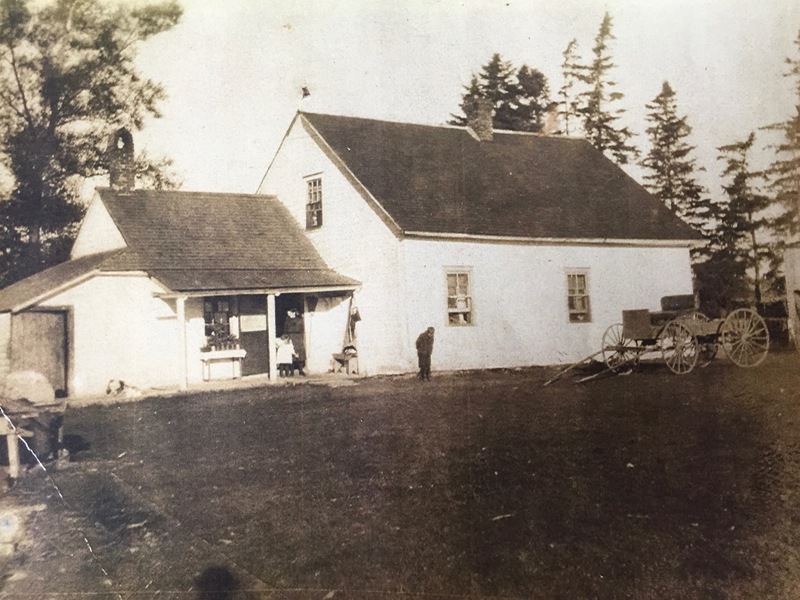 The next farm, as far as we know was first owned by John Small MacDonald, brother of the late Governor A.A. MacDonald. John MacDonald sold to a Mr. Cooper who later sold to the Hydes (Samuel Hyde). It was in turn sold to John Scott of Scott’s Mills for his two sons, Seymour and Peter each getting 100 acres. The former sold to Ivan Clow while the family of the latter still lives on the western half. Hyde & Crosby Pioneer Cemetery, click here. This is our sixth excerpt of the Meadow Bank W.I. Tweedsmuir History published in 1951. Of the early history of what is now Meadow Bank before the British took possession of the Island then known as St. John, nothing seems to have been recorded and little seems to be known. There are evidences, however, of certain parts of it having been occupied by the French and Natives, some crude cooking utensils and tools later being discovered nearby some of the old cellars or where a large quantity of ashes in the soil told of someone having lived there before. On the farm now occupied by Robert Jewell (part of the old Hyde farm) there is the remains of an old French fortress. Two round iron cannon balls have also been found on this farm. Whether fired from a cannon or carried there is a matter of conjecture. Now in possession of Ray Crosby is an ox shoe found on his farm and a sword and bayonet supposed to have been brought here by his ancestors, also a flint and iron for kindling in those early days long before Lucifer matches were ever heard of. In 1926, the school boys of Meadow Bank found the remains of eight or ten flint-lock muskets beside a spring on the back of Ivan Clow’s farm (the old Samuel Hyde farm). It is supposed that the muskets were hidden there by the French about the time the British took possession of the Island in 1758. In searching early records for authentic data, I have found it difficult to secure the exact date when the first British subject settled in Meadow Bank. The earliest we can find is of William Crosby who came from the Town of Newry, County Down, Ireland, about 1770 and three years later married Margaret Orr who died in 1824. To these were born six daughters and two sons. The sons were John, in 1775, who was the first child born of British parents in what was then known as Elliot or West River settlement and William, the younger son born in 1784. It was not till the year 1786 that Mr. Crosby, the immigrant, purchased his farm of 203 acres outright from Gov. William Patterson for the sum of £113, 12s. 3d. stirling. This land, after William Crosby’s death in 1815, was divided between his two sons. John took the western half and paid William £10 for certain advantages that went with the farm. Both these men married Miss Clarks (sisters). John’s family consisted of seven sons, four remained in this vicinity purchasing more land adjoining the original farm. One of these Theophilus D. (the writer’s grandfather) lived on the farm now owned by Ray Crosby. James, Mrs. Henry Drake’s father, owned the farm now occupied by Wilbert Drake. John was unmarried. He owned the property now in possession of Fred MacGregor, the other settled in Freetown. William who got the eastern 150 acres of the original Crosby farm had the contract of building the first North River Bridge for the sum of £900 or, it is said, £1 per foot. He had a family of three sons and three daughters. 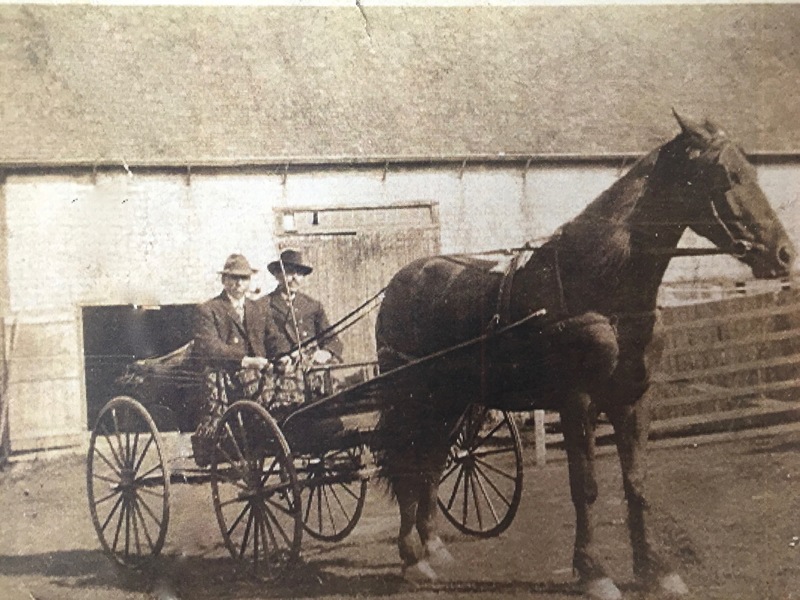 One son, John, later became owner of the home farm while Ewen and Andre moved to Bonshaw where they bought considerable land and also founded Bonshaw Mills, later owned by Hon. Cyrus Crosby and Heath Crosby, sons of Andrew. generations of Crosbys who have occupied the same land. The daughters all married farmers, Margaret, George Clark of Clark’s Mills, Wilmot; Hannah, John MacEwen of Long Creek; and Mary Elinor, T.D. Crosby, father of Pope Crosby who in turn passed his farm on to his son W. Ray. 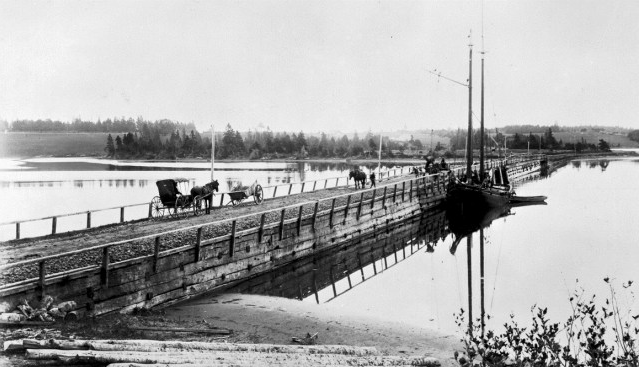 More details on history of North River Bridge here. Here is our fifth excerpt from the Meadow Bank W.I. Tweedsmuir History published in 1951. The Women’s Institute of Cornwall-York Point and Meadow Bank keep this hall in repair and equip it with necessary facilities. In 1950, with a view to adding a kitchen, we catered for four days at the Provincial Exhibition grounds during Old Home Week and made a net profit of over $1700. 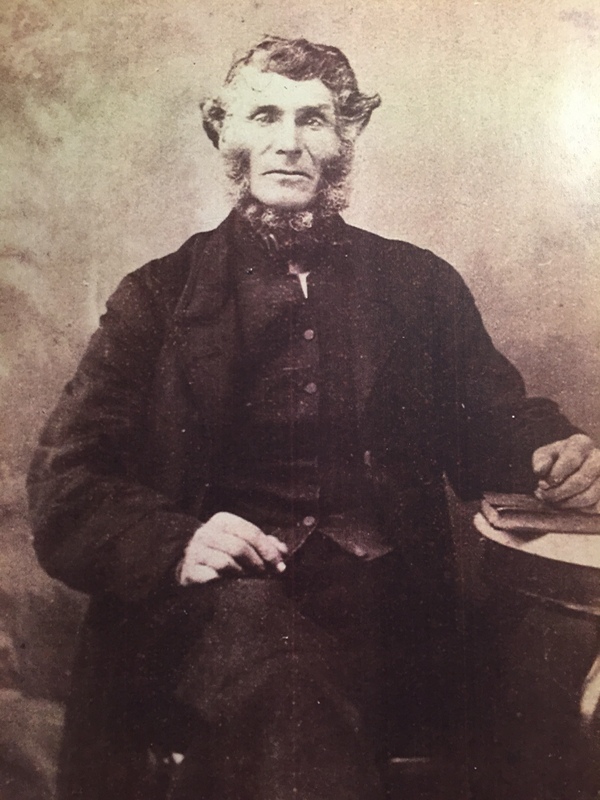 As early as 1898 we have records of a Sunday School Library at Cornwall with George H. Boyle as librarian. On May 5th of that year, Russell Hyde attended Sunday school and obtained a book. A library was placed in Meadow Bank School in 1930, largely through the efforts of Miss Vera Hyde who was then the teacher and presented a school concert in Cornwall Hall to raise funds for a suitable book case. The selection and presentation of books was made by the Carnegie Library Foundation. Books have been added from time to time by the Women’s Institute and others. To learn more about Cornwall Hall and other civic buildings, refer to the Cornwall History here. On the Hall photo that you see featured, that property later became the site of the post office and later a dental clinic. The new post office is now located in the open field that you see in the foreground of the photo. Cornwall now has a library in their new Town Hall, more information here. Stay tuned for the next excerpt where we will read about Meadow Bank pioneers. Here is our fourth excerpt from The Meadow Bank W.I. Tweedsmuir History in 1951 written by Mrs. Charles Hyde. The people of early Meadow Bank were for the most part Protestants and divine worship was held in some of the houses in winter and barns in summer. At a quarterly meeting held in the Mission House in the city of Charlottetown August 1818, the following question was asked, “What measures shall we adopt for the prosperity of the work of God?” to which was given the following answer to which dates the beginning of Methodistism in this part of the country. “That there be preaching, exhortation or prayer meeting at Little York and West River services held in the house of William Crosby in the winter and in the summer his barn be used.” The first preacher was Mr. Chappelle. Services were continued until some years later a lot was secured at Cornwall and a log building erected which served the people until 1955 when a large frame building was built. 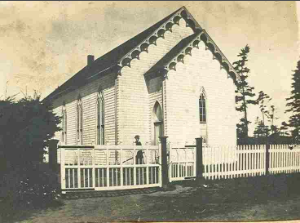 This stood until April 1902 when it was torn down to give place to the present church (as of 1951). The land where the Cornwall Church now stands was obtained through a Government Grant for a Church of England. As there were no English church people here the Methodists obtained it. Smith Bros. built the first church. The first minister there was Rev. 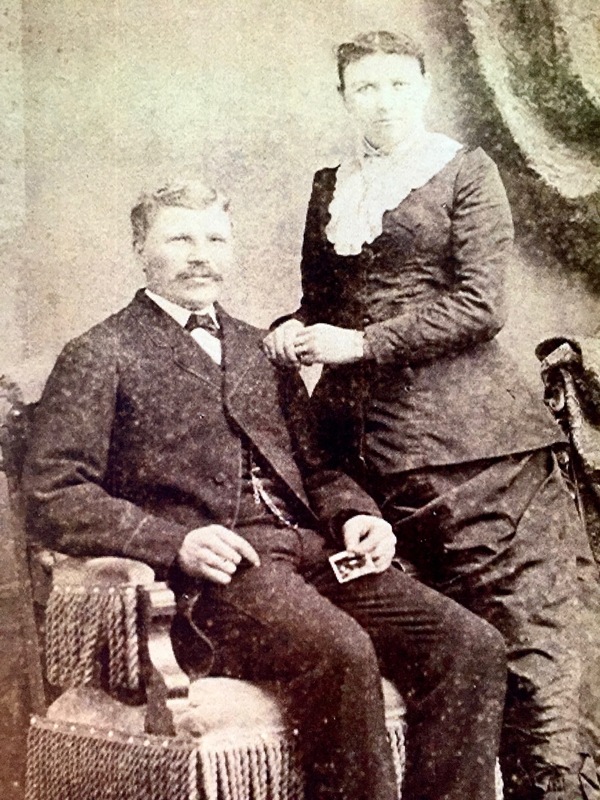 Robert Strong with first sexton, Mrs. John Corbin. Mr. Zachariah Mayhew presented the tunes as in those days there was no organ or choir. In the present church is a panel window on the south side in memory of Mary Ellen Crosby (January 7, 1824 – August 2, 1901) wife of Mr. Theophilus Crosby. 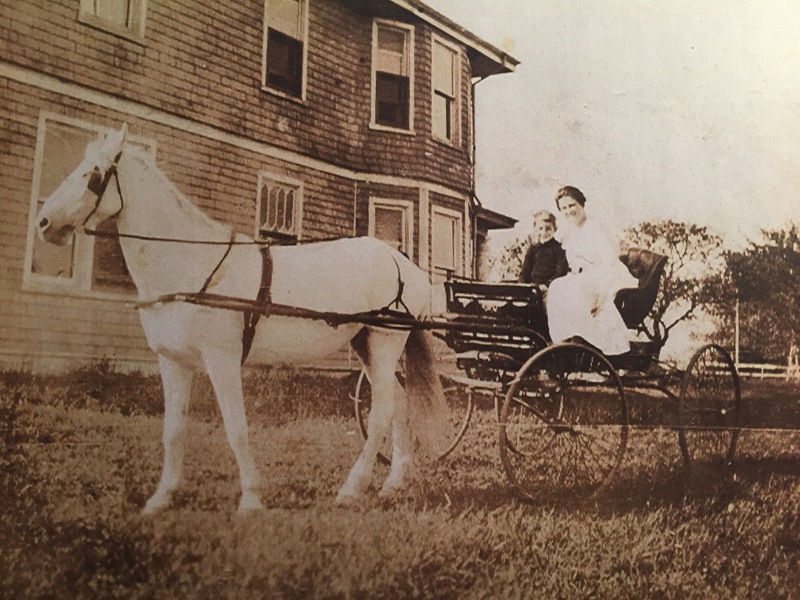 John Crosby was one of the first residents of Meadow Bank to use a driving wagon to convey his family to church. This was in the year 1878. The first Meadow Bank resident to use an automobile to travel to church at Cornwall was Mr. Frederick Hyde. The nearest buying ground was one in Charlottetown belonging to the Church of England. It is supposed that the earliest settlers were buried there for we know that upon one occasion when a death occurred during a stormy time in winter the trip to Charlottetown could not be made for over a week. Due to this inconvenient state of affairs, land for a burying ground was donated by Messrs. Hyde and Crosby. Although a cemetery was later started at Cornwall, this plot continues to be the burial place of Hydes and Crosbys. 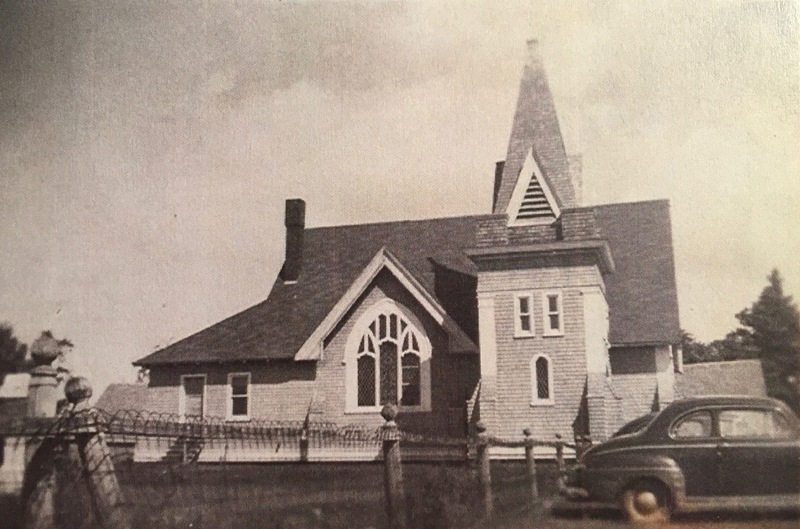 To view photos and read more history on the church in Cornwall, click here. To view current photos and learn more about the West River United Church website, click here.